There are some artists who are merely a flash in the pan; but some artists are here for the long haul, and over the years at HIP we’ve had the pleasure of working with some true legends. Among these is Elvis Costello: with a Grammy Award (“I Still Have That Other Girl” won the award for Best Pop Collaboration with Vocals in 1999) and a 2003 induction into the Rock and Roll Hall Of Fame, his place among music’s most important voices is clear. But in case anyone’s in doubt, think about this: artists ranging from Radiohead to Foo Fighters have cited him as an influence. Soon after the album was released, we began a campaign promoting his video for “Monkey To Man”, a darkly comic R&B shouter. The “Monkey To Man” clip shows Costello at his most frantic, energetic, and casually hilarious. He’s surrounded by balloons, jugglers, bright lights, dancing beachgoers… oh, and some surprisingly coordinated gorillas, too. 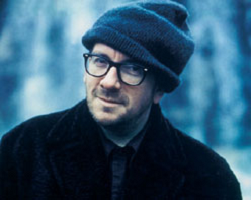 Since 2004, Elvis Costello has released three more original albums- Momofuku (2008), Secret, Profane & Sugarcane (2009), and National Ransom (2010)- as well as three collaborative albums – Piano Jazz (2005, with Marian McPartland), The River in Reverse (2006, with Allen Toussaint), and Wise Up Ghost (2013, with the Roots). Among other accolades, in 2013, he received an Honorary Doctorate of Music from the New England Conservatory. Costello also released a memoir, Unfaithful Music & Disappearing Ink, in 2015. Elvis Costello will be touring all over the UK and Europe this summer. Head to his website to see a full list of his upcoming shows! We’ve been big fans of Elvis Costello since long before we worked together, and we can’t wait to see what he does next! We can’t wait to see what budding artist becomes the next legend. Do you think your video has what it takes to be the next break-out smash hit? 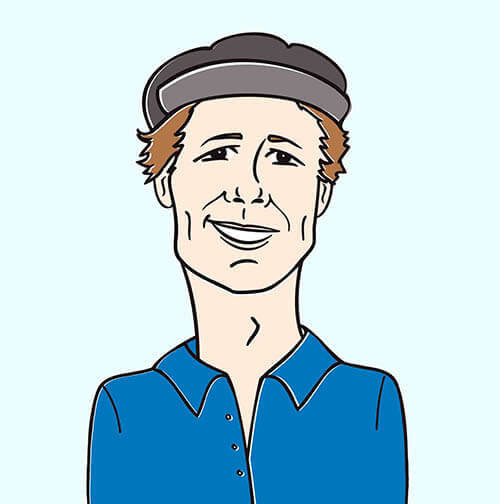 Get in touch with Andy Gesner and the rest of the HIP Video Promo team by giving us a call at (732)-613-1779 or emailing us at info@HIPVideoPromo.com.